Hans Ulrich Obrist will produce “Creative Chicago: An Interview Marathon,” part of Art Design Chicago in 2018. Chicago, IL—The Terra Foundation for American Art, Chicago Humanities Festival, EXPO CHICAGO, and Navy Pier today announced a partnership to produce and present “Creative Chicago: An Interview Marathon,” featuring one of the world’s leading curators, critics, and art historians, Hans Ulrich Obrist, artistic director of London’s Serpentine Galleries. The four-hour interview marathon will be presented in partnership with Navy Pier, Chicago’s mission-driven cultural district, in the Aon Grand Ballroom on Saturday, September 29, 2018, during EXPO CHICAGO 2018 (September 26–30), as part of the Terra Foundation for American Art’s Art Design Chicago initiative. The “Creative Chicago” Marathon builds on a concept initiated by Obrist in Stuttgart in 2005 and developed at the Serpentine Galleries in which interviews are conducted in a closely knit series that extends over several hours, creating an energetic engagement with presenters and their ideas. This will be Obrist’s first such program in the U.S. and will take a multi-dimensional, multidisciplinary, and multicultural look at creativity in the city—past, present, and future. Bringing together artists, designers, authors, activists, architects, historians, musicians, philosophers, and scientists, the marathon will examine the numerous sparks that make the city an engine of creativity and innovation. Among the notable figures participating in the “Creative Chicago” Marathon are social practice installation artist Theaster Gates and architect Jeanne Gang, among others to be announced. Obrist’s marathons are part of his life-long interview project, for which he has logged thousands of hours in discussion with some of the leading thinkers of our time. His first interview marathon—a 24-hour conversational exploration of art, ideas and creativity—was conceived in 2006 with Rem Koolhaas, and housed in that year’s Serpentine Pavilion. The Marathon has since become an annual exploration of a theme of topical relevance to artists’ practice and the wider contemporary context. The “Creative Chicago” Marathon will be presented as part of Chicago Humanities Festival’s annual Fallfest and a series of Art Design Chicago programs happening in 2018. Fallfest is filled with nearly 100 programs celebrating ideas within the context of civic life, connecting artists, authors, journalists, scholars, and other thinkers—both established and emerging—with passionate and inquisitive audiences. In partnership with Art Design Chicago, Fallfest 2018 will feature an exceptionally broad array of programs exploring Chicago’s rich art and design legacy, as well as examining the current moment, including “Creative Chicago,” one of the first programs in that year’s festival. The “Creative Chicago” Marathon is one of hundreds of public programs available through Art Design Chicago in 2018, including 25 exhibitions, as well as academic programs, publications, and a four-part documentary. Spearheaded and funded by the Terra Foundation, with significant support from The Richard H. Driehaus Foundation, Art Design Chicago is a partnership with more than 50 cultural organizations throughout and beyond Chicago to celebrate Chicago’s artists, designers, and creative producers. Focusing in particular on the period between the 1871 Great Chicago Fire and the turn of the 21st century, the initiative reveals little-known narratives of ingenuity and perseverance and provides new insights about Chicago’s enduring influence on fine and decorative arts, graphic and commercial design, product design, and film. Hans Ulrich Obrist was born in Zurich, Switzerland and is Artistic Director of the Serpentine Galleries, London. Prior to this, he was the Curator of the Musée d’Art Moderne de la Ville de Paris. Since his first show, “World Soup” (The Kitchen Show) in 1991, he has curated more than 300 shows. In 2011, Obrist received the CCS Bard Award for Curatorial Excellence, and in 2015 he was awarded the International Folkwang Prize for his commitment to the arts. 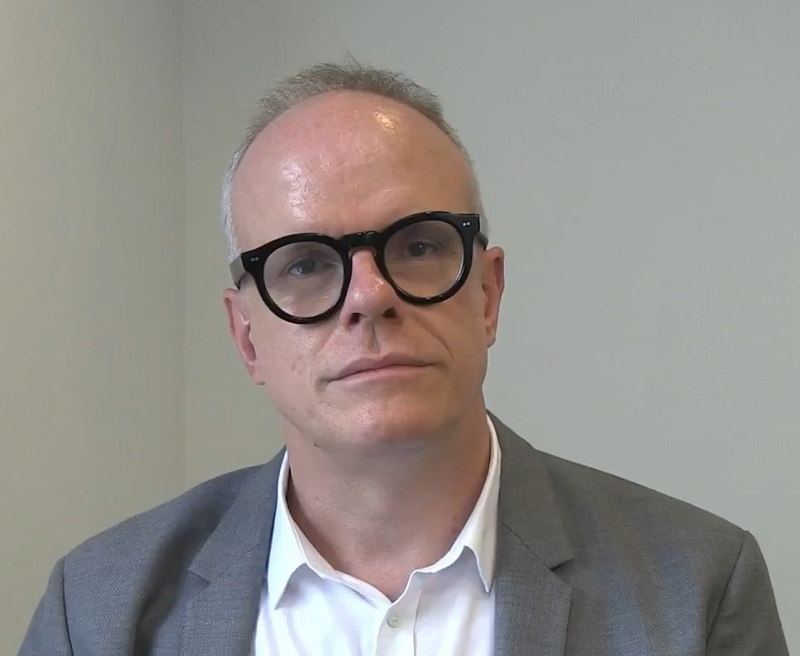 Obrist has lectured internationally at academic and art institutions, and is contributing editor to several magazines and journals. His recent publications include Conversations in Mexico, Ways of Curating, The Age of Earthquakes with Douglas Coupland and Shumon Basar, and Lives of The Artists, Lives of The Architects. Ignited by his fascination with an artist interview as art itself, Obrist began “The Interview Project,” his life-long project featuring lengthy interview conversations with cultural figures. Interviews from this project have been recorded and published in Artforum, as well as a series of books presenting 69 interviews with artists, architects, writers, film-makers, scientists, philosophers, musicians, and performers. The annual Serpentine Marathon explores art, architecture, activism, anthropology, literature, music, philosophy, theology and science, through a theme of topical relevance to artists’ practice and the wider contemporary context. Conceived in 2006 by Hans Ulrich Obrist and first housed within the Serpentine Pavilion, the Marathons to date have been: Interview Marathon, 2006 (with Rem Koolhaas); Experiment Marathon, 2007 (with Olafur Eliasson); Manifesto Marathon, 2008; Poetry Marathon, 2009; Map Marathon, 2010; Garden Marathon, 2011; Memory Marathon, 2012; 89plus Marathon, 2013; Extinction Marathon, 2014 (with Gustav Metzger); Transformation Marathon, 2015; Miracle Marathon, 2016. In October 2017, the next Marathon, Guest, Ghost, Host: Machine Marathon will take place at London’s City Hall. EXPO CHICAGO/2017, The International Exposition of Contemporary and Modern Art, is presented by Art Expositions, LLC at Navy Pier’s Festival Hall, hosting more than 135 leading International exhibitors presented alongside one of the highest quality platforms for global contemporary art and culture. Now in its sixth year as a leading international art fair, EXPO CHICAGO (September 13–17, 2017) offers diverse programming including /Dialogues, IN/SITU, IN/SITU Outside, EXPO VIDEO, the Curatorial Forum, the Art Critics Forum, Special Exhibitions, EXPO Sound and OVERRIDE | A Billboard Project. In addition, EXPO CHICAGO continues to publish THE SEEN, Chicago’s International Journal of Contemporary & Modern Art. Under the leadership of President and Director Tony Karman, EXPO CHICAGO draws upon the city’s rich history as a vibrant international cultural destination, while highlighting the region’s contemporary arts community and inspiring its collector base. In 2017, EXPO CHICAGO and the Chicago Architecture Biennial (September 16, 2017–January 7, 2018) will align, establishing the city as a preeminent destination for global contemporary art and architecture, intersecting across a wide variety of programs including panels, international residencies, exhibitions and citywide events. In addition, EXPO CHICAGO partners with the Palais de Tokyo in Paris for its first U.S. satellite exhibition to kick off EXPO CHICAGO (September 12) at the Roundhouse at the DuSable Museum of African American History. Vernissage, the opening night preview benefiting the Museum of Contemporary Art Chicago, takes place Wednesday, Sept 13, 6–9 p.m. General Admission to the exposition is Thursday, Sept. 14–Sunday, Sept. 17 (for hours please visit expochicago.com). Northern Trust is the Presenting Sponsor of EXPO CHICAGO. For more information about EXPO CHICAGO and EXPO ART WEEK (Monday, Sept. 11–Sunday, Sept. 17), visit expochicago.com. Since it was established in 1978, the Terra Foundation for American Art has been one of the leading foundations focused on the historical art of the United States. Headquartered in Chicago, it is committed to fostering exploration, understanding, and enjoyment of American art among national and international audiences. To further cross-cultural dialogue on American art, the foundation supports and collaborates on innovative exhibitions, research, and educational programs. The foundation also provides opportunities for interaction and study through the presentation and ongoing development of its own art collection in Chicago, recognizing the importance of experiencing original works of art. Implicit in such activities is the belief that art has the potential both to distinguish cultures and to unite them. Located on Lake Michigan, Navy Pier is Chicago’s mission-driven cultural district, designed to inspire, educate and connect communities. A nonprofit since 2011, Navy Pier is free and accessible to all. It has the autonomy to act in ways that serve the greater good, with support from the corporate and philanthropic community to create impact where it matters most. Stretching more than six city blocks and welcoming more than 9 million guests annually, Navy Pier offers year-round accessibility to its guests and forms an elegant canvas for the unexpected. Originally opened in 1916 as a shipping and recreation facility, the Pier features more than 50 acres of public parks, restaurants, attractions, retail shops, exposition facilities and more. Navy Pier continues to celebrate its centennial with a series of special events and programming, year-round rides on the Centennial Wheel and ongoing pier-wide redevelopment efforts. More information is available at www.navypier.com.